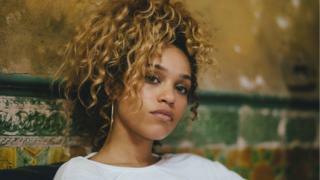 Pop singer Izzy Bizu has been named the BBC Introducing artist of the year. The Londoner has been championed by the BBC's scheme for new music talent since sending in her song White Tiger three years ago. 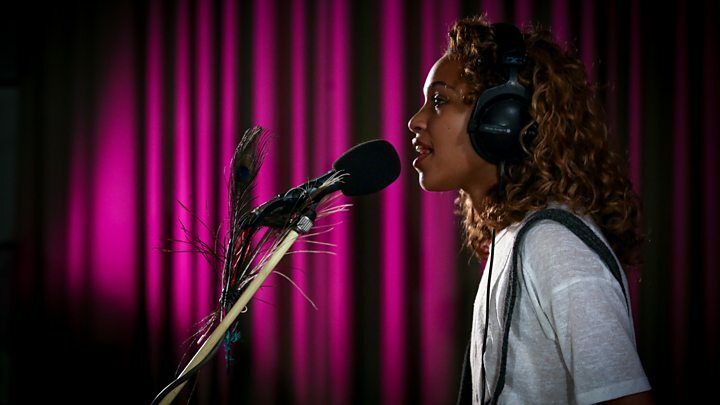 Since then, she has been been signed by Sony Music and nominated for a Mobo Award. She also sang the BBC's Euro 2016 theme, a version of Edith Piaf's La Foule. She will be given her prize at the BBC Music Awards on 12 December. Previous winners include rock band Catfish and the Bottlemen and singer-songwriter Jack Garratt. Bizu, whose real name is Isobel Beardshaw, was born in London but moved around the world as a child because of her father's job as a civil engineer. Raised on singers like Ella Fitzgerald, Nina Simone and Amy Winehouse, she has won rave reviews for her uplifting jazz-inflected soul. Her debut album A Moment of Madness was released this year, reaching number 28 in the official album chart. "Izzy is a huge talent that I'm certain will be a huge success story both at home and abroad," said Jason Carter, head of BBC Introducing. "I'm proud of the part BBC Introducing has played in launching her career and look forward to supporting her in the years to come." Have you started working on your acceptance speech? Oh God, no! I should do - because I'm really scared of public speaking. I can sing, but in between the songs I'm like, "What do I say?!" Years ago, En Vogue sang their speech at the Billboard awards. Maybe you could do that? That's so funny! I could put put on an operatic voice and convince everyone I've gone crazy. That takes a lot of balls, though. You grew up in the Middle East and Ethiopia, as well as back here in the UK. How did that affect you? Moving around took a lot of adaptation. When I first moved to the Middle East, it was pretty hot and humid and I was getting to know my dad for the first time, so there were all these new feelings. They were together but he was working out there. I'd see him every so often but when you're seven you want to see your parents every day. At the holidays I'd always say, "I really want to stay with you" and eventually I did, for four years! What sort of music were you exposed when you travelled? My first morning in Bahrain, I woke up when they did the call to prayer at 5am. My dad hadn't told me about it, so I was like, "Oh my God, our neighbours are so loud!" I ran to my dad's room and he explained they were singing and praying. I thought it was incredible. I still find it comforting. Then, I'm not going to lie, I listened to a lot of Craig David. At what point did you realise you had a voice? I was really bored, sitting in the back seat of a car in Ethiopia and I started singing about the stuff I saw - the sea or the trees. Really stupid stuff, but there was something inside that resonated with my feelings. It felt warm and nice and I just knew it was something I'd always do. Did you envisage it becoming a career at that point? I've always been a bit naive. My dad would ask, "What are you going to do when you grow up?" and I'd say, "I'm going to be a vet or a singer". But I went off the idea of being a vet once I saw what they had to do. Sticking their hands up places. So gross. What was the first song you wrote properly? I started to write poems first. I needed that to understand what was going on around me before I could start making friends and stuff. It wasn't until I went to boarding school in England that I started playing the piano and putting melodies to the lyrics. A lot of people who move around a lot as children find it hard to settle as adults. Do you find yourself getting itchy feet? One hundred per cent. If I'm in London too long, I feel like I need to get out. But luckily for me, I get to tour. Speaking of which, you've just come from a BBC Introducing tour of the US. What was the highlight? I really enjoyed Detroit. We went to the Motown Museum and the tour guide sang her way through all the rooms. We were all really inspired when we performed that night. How did you get onto BBC Introducing's radar? I sent in a song called White Tiger using the "upload file" thing and BBC Introducing picked it up and played it on the radio. Did you have an inkling it would lead to all this? It didn't seem that it could be a path to something bigger - but I really appreciate that they check out artists who aren't well known or don't have large amount of followers. Your album is called A Moment of Madness. Where does the title come from? From all the moments where I was out of control! I was super-hyper when I was 17 and 18 and I just wrote about that. What's the maddest thing you've ever done? I remember going to the Notting Hill Carnival on a skateboard - and my boyfriend at the time, who was a bit drunk, started skating down this really steep hill going, "Look at me, I'm so cool!" So I was like, "Yeah, me too!" and I just tumbled down that hill, over and over. Why did I think I could skate down a cobbled hill? My guitarist is French, which made it less daunting. But he did have to teach it to me phonetically. Can you still do it now? Erm... I can do the chorus. The chorus is simple but the verse has lots of phlegmy bits! You recorded White Tiger in your bedroom. Is that still where songs get started? Sometimes. I've just moved to Battersea and I'll probably set the studio up in the living room, because my room's a bit of a shoebox. Do you have material ready for a second album? Yeah. It'll be nice over Christmas just to chill and jam. I might even get a few Turkey burps in there. And a Christmas cracker joke in the middle. 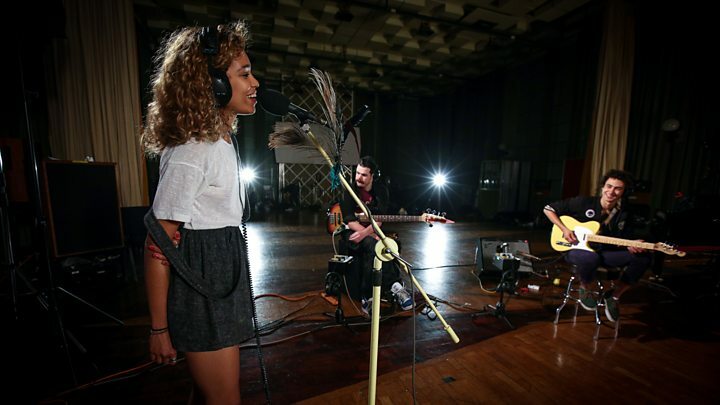 Izzy Bizu's debut album A Moment Of Madness is out now. She plays the BBC Music Awards at London's ExCel Centre on 12 December. The awards will also be live on BBC One.